‘Bharat Ratna’ is the India’s highest award given to a civilian. It is awarded for the highest degrees of national service. This service includes artistic, literary and scientific achievements, as well as public service. Bharat Ratna was instituted on 2 January 1954. The award was originally limited to achievements in the arts, literature, science and public services but the government expanded the criteria to include ‘any field of human endeavour’ in December 2011. Recommendations for the Bharat Ratna are made by the Prime Minister to the President, with a maximum of three nominees being awarded per year. Recipients of Bharat Ratna receive a Sanad (certificate) signed by the President and a peepal-leaf–shaped medallion; there is no monetary grant associated with the award. The first recipients of the Bharat Ratna were politician C. Rajagopalachari, scientist C. V. Raman and philosopher Sarvepalli Radhakrishnan, who were honoured in 1954. In 1966, former Prime Minister Lal Bahadur Shastri became the first individual to be honoured posthumously. Most recently, Indian government has announced the award to freedom fighter Madan Mohan Malaviya (posthumously) and former Prime Minister Atal Bihari Vajpayee. Philosopher Radhakrishnan served as India’s first Vice-President (1952–62) and second President (1962–67). Since 1962, his birthday on 5 September is observed as “Teachers’ Day” in India. Widely known for his work on the scattering of light and the discovery of the effect, better known as “Raman scattering“, Raman mainly worked in the field of atomic physics and electromagnetism and was presented Nobel Prize in Physics in 1930. Civil engineer, statesman, and Diwan of Mysore (1912–18), Visvesvaraya was a Knight Commander of the Order of the Indian Empire. His birthday, 15 September, is observed as “Engineer’s Day” in India. 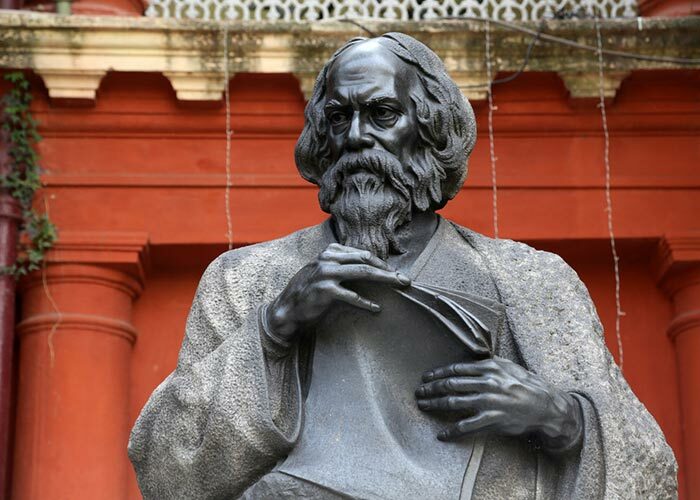 Social reformer and educator, Karve is widely known for his works related to woman education and remarriage of Hindu widows. He established the Widow Marriage Association (1883), Hindu Widows Home (1896), and started Shreemati Nathibai Damodar Thackersey Women’s University in 1916. A physician, political leader, philanthropist, educationist, and social worker, Roy is often considered as “Maker of Modern West Bengal”. He was second Chief Minister of West Bengal (1948–62) and his birthday on 1 July is observed as National Doctors’ Day in India. Often titled as “Rajarshi”, Tandon was an independence activist and served as speaker of the Uttar Pradesh Legislative Assembly (1937–50). He was actively involved in a campaign to get official language status to Hindi. Indologist and Sanskrit scholar, Kane is best known for his five volume literary work, History of Dharmaśāstra: Ancient and Medieval Religious and Civil Law in India; the “monumental” work that extends over nearly 6,500 pages and being published from 1930 to 1962. Known for his slogan “Jai Jawan Jai Kisan” (“Hail the Soldier, Hail the Farmer”), Independence activist Shastri served as second Prime Minister of India (1964–66) and led the country during the Indo-Pakistani War of 1965. Known as the “Iron Lady of India”, Gandhi was the Prime Minister of India during 1966–77 and 1980–84. During the Indo-Pakistani War of 1971, her government supported Bangladesh Liberation War which led to the formation of a new country, Bangladesh. Independence activist and statesman Kamaraj was a Chief Minister of Tamil Nadu for three terms; 1954–57, 1957–62, and 1962–63. “Saint Mother Teresa of Calcutta” was a catholic nun and the founder of the Missionaries of Charity. She was awarded the Nobel Peace Prize for her humanitarian work in 1979 and was beatified on 19 October 2003 by Pope John Paul II and canonised on 4 September 2016 by Pope Francis. Independence activist, social reformer, and a close associate of Mahatma Gandhi, Bhave is best known for his Bhoodan movement, “Land-Gift Movement”. He was given the honorific title “Acharya” (“teacher”) and was awarded the Ramon Magsaysay Award (1958) for his humanitarian work. Widely known as “Frontier Gandhi”, independence activist and Pashtun leader Khan was a follower of Mahatma Gandhi. He joined Khilafat Movement in 1920 and founded Khudai Khidmatgar (“Red Shirt movement”) in 1929. Social reformer and leader of the Dalits (“Untouchables”), Ambedkar was the Chief architect of the Indian Constitution and also served as the first Law Minister of India. Ambedkar predominantly campaigned against the social discrimination with Dalits, the Hindu varna system. He was associated with the Dalit Buddhist movement and accepted Buddhism as a religion along with his close to half a million followers on 14 October 1956. Leader of the Anti-Apartheid Movement in South Africa, Mandela was the President of South Africa (1994–99). Often called as the “Gandhi of South Africa”, Mandela’s African National Congress movement was influenced by Gandhian philosophy. In 1993, he was awarded the Nobel Peace Prize. Widely known as the “Iron Man of India”, Patel was an independence activist and first Deputy Prime Minister of India (1947–50). Post independence, “Sardar” (“Leader”) Patel worked with V. P. Menon towards dissolving 555 princely states into the Indian union. Independence activist Azad was India’s first Minister of Education and worked towards free primary education. He was widely known as “Maulana Azad” and his birthday on 11 November is observed as National Education Day in India. Industrialist, philanthropist, and aviation pioneer, Tata founded India’s first airline Air India. He is the founder of various institutes including Tata Institute of Fundamental Research, Tata Memorial Hospital, Tata Institute of Social Sciences, Tata Motors, TCS, National Institute of Advanced Studies, and National Centre for the Performing Arts. Having debuted as a director with Pather Panchali (1955), film-maker Ray is credited with bringing world recognition to Indian cinema. In 1984, Ray was awarded the Dadasaheb Phalke Award, India’s highest award in cinema. Independence activist Ali is better known for hoisting the Indian flag in Bombay during the Quit India Movement in 1942. Post Independence, Ali was elected as Delhi’s first mayor in 1958. Aerospace and defence scientist, Kalam was involved in the development of India’s first satellite launch vehicle SLV III and was the architect of Integrated Guided Missile Development Program. He worked for Indian National Committee for Space Research, Indian Space Research Organisation, Defence Research and Development Laboratory and was appointed as the Scientific Advisor to the Defence Minister, Secretary to Department of Defence Research and Development and Director General of Defence Research and Development Organisation. Later, he served as the eleventh President of India from 2002 till 2007. Carnatic classical vocalist Subbulakshmi, often hailed as “Queen of songs”, is the first Indian musician to receive the Ramon Magsaysay award. Independence activist, social reformer, and commonly referred as “Lok Nayak” (“People’s Hero”), Narayan is better known for “Total Revolution Movement” or “JP Movement” initiated during the mid-1970s to “overthrow the corrupt and exploitative Congress government”. Winner of four Grammy Awards and often considered “the world’s best-known exponent of Hindustani classical music”, sitar player Shankar is known for his collaborative work with Western musicians including Yehudi Menuhin and George Harrison. Widely credited as the “nightingale of India”, playback singer Mangeshkar started her career in the 1940s and has sung songs in over 36 languages. In 1989, Mangeshkar was awarded the Dadasaheb Phalke Award, India’s highest award in cinema. Hindustani classical vocalist, Joshi was a disciple of Kirana gharana, an Indian musical school. He is widely known for the Khyal genre of singing with a “mastery over rhythm and accurate notes”. Scholar and educational reformer Malaviya is a founder of Akhil Bharatiya Hindu Mahasabha (1906) and Banaras Hindu University and served as the university’s vice-chancellor from 1919 till 1938. He was the President of Indian National Congress for four terms and was the Chairman of Hindustan Times from 1924 to 1946. Parliamentarian for over four decades, Vajpayee was elected nine times to the Lok Sabha, twice to the Rajya Sabha and served as the Prime Minister of India for three terms; 1996, 1998, 1999–2004. He was Minister of External Affairs during 1977–79 and was awarded the “Best Parliamentarian” in 1994.